Royal Domesticity by Denise Rayala: Our Relationship Secrets: Revealed! My husband and I were highschool classmates. No - we were never sweethearts. We didn't dance in our prom night, he didn't carry my heavy bag and books, he didn't look my way. Worst, we didn't even talk! There was one incident that I wanted to initiate a conversation, though. It was my chance, I had a slight crush on him when I was 14 eh. We were in the same jeepney on the way to school. Gahd, imagine my kilig when I saw him na sumabit bigla. You know, I wanted to hold his book for him kasi nga nakasabit siya then eventually when he's finally seated, we would talk and ililibre niya ako ng pamasahe but well, nag-123 pala siya that day so sorry, no cute puppy love story to tell, hahaha! But if you seriously want to know how we got to be where we are now, here's our funny, worthy of an MMK episode love story entitled - When Rhambo Met Bebeng. Hello, this is us. Photo taken by our little girl, our #1 fan. I love going back to how we began. In fact, I shared that with his mom and our daughter Sophia. Our girl was laughing the whole time I was telling our story. She loves it and gets kilig kasi when her father and I are being sweet to each other. Sinusulit ko na rin hanggat hindi pa siya grossed-out sa amin, hihi. Telling her how I met her father is important for us since we really pray that she will also have a happy marriage and family in the future. And in case she'll ask for tips and advice, we got these SECRETS TO A LONG-LASTING RELATIONSHIP that I will be sharing with you, too. We pray, worship and believe in one God. The Bible, specifically 2 Corinthians 6:14 says, "Do not be unequally yoked with unbelievers. For what partnership has righteousness with lawlessness? Or what fellowship has light with darkness?" My husband R and I strongly believe that couples should understand the importance of having one faith within their marriage. But to set the record straight, R was born Catholic. He was not practicing it, though when we got together. It was only when we had a child that he went to our church by himself and accepted God as his personal master and saviour. The encouragement didn't come from me. God touched his heart and spoke to him as he is destined to lead our family. It's not easy but we do our best to abide by the law of God and of people. There are times when we denounce each other's false thoughts; our love extends to how we discipline each other's idiosyncrasies. We make sure that if what we did was wrong, even if we have to fight about it, we have to correct it. It's not easy to be objective, one of us can get hurt in the process but at the end of the day, we both know that it's for the good. Sure, we are each other's police but we are partners in crime, he is my forever kakampi. R was part of a big group of bullies in highschool. I was one of the poor victims of that group. Though he never did me wrong, hindi niya rin naman ako naipagtanggol. Peer pressure, siyempre. Mawawala ang pagiging silent leader niya when his group would know he also had a secret crush on me, hahaha. But I guess, bumawi ang destiny. He is now my rock and fortress. He even said when he was still making me bola that he will fight for me kahit blade lang daw ang weapon niya. I remembered I made a mental eyeroll on his budding dad joke. Kainis eh. We are a team - a love team. And these are our movie posters. LOL. I may now have 57,000 plus followers on Facebook and there may be thousands of soldiers who salute to him and call him Sir but still, our opinions matter most. I tell him when I get invited to blogging events, he tells me when they have conferences, I tell him when a brand will collaborate with this blog, he tells me about his military activities, I tell him when there are online trolls attacking me, he tells me when he feels stressed at work. We are each other's confidant, we got the last say to each other's decisions. We make each other remember one another through the little things. When we were still on boyfriend-girlfriend stage, I used to send him box of treats when he was still a young warrior in Mindanao. And on that box were my written sweet notes to remind him of his pa-cute girlfriend every time he'd drink his Milo or cook his soup. Yup, that's totally common so my man wanted to be different, he'd leave his mess everywhere in the house just to make me remember how he can be so annoying, haha. 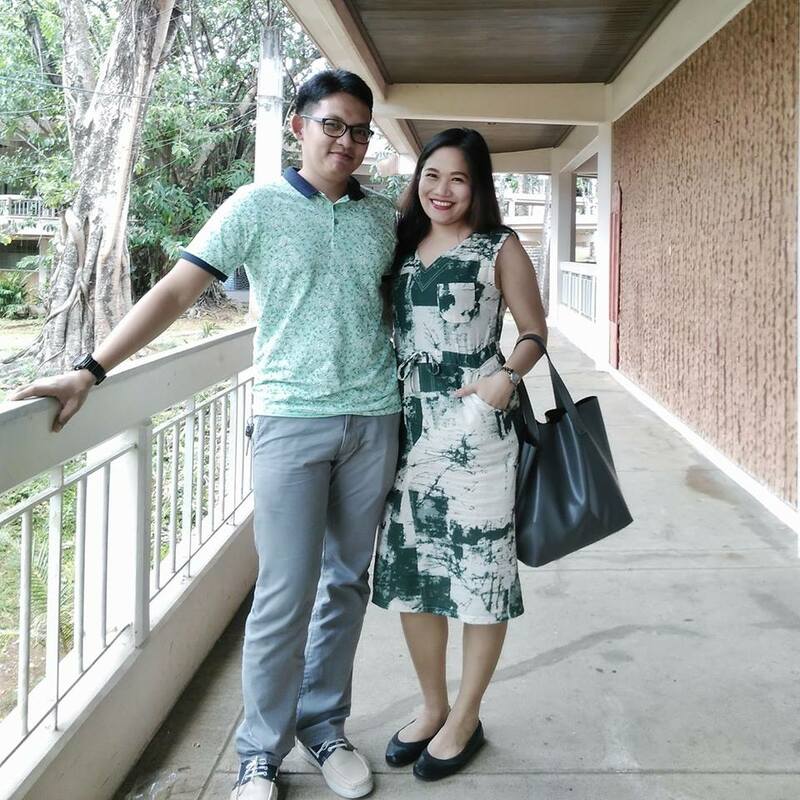 Do not be fooled that we are this seemingly perfect couple, who just want to spread love and peace to all because... we are your chismosang kapitbahay! Pag-uwi niyan ng house, I'd serve him food first then I'd sit with him as he eats. Tapos chika galore na kami about what we've seen in the internet, our friends' Facebook posts, what happened in his workplace, what our daughter shared with me at kung anu-ano pang mga bagay na hindi naman tungkol sa amin, lol. I may have already avoided being connected with people who like to gossip but I made sure I kept the best gossip guy of my life. Our life pegs are people who have a complete and happy family. Oh, there are a lot of celebrities that we look up to. There's Senator Gringo Honasan - he may have been branded as a rebel soldier but seeing how his children turned out to be good human beings means he has done something great. We also like how Toni and Alex Gonzaga grew up as two of the most fun girls in the showbiz industry without losing themselves into worldly deeds. Their parents may be strict to their curfews and dating but it was definitely all worth it. Lastly, the Team Kramer. Recently, a post of Cheska Garcia-Kramer, which was eventually supported by her husband Doug, has been in a controversy that made some of their followers react negatively to it. But for us, we agree with them. R and I also believe that the best "secret" to having a long-lasting relationship is making God the center of it, just like Doug and Cheska. There is no secret formula to an everlasting marriage. Ika nga nila, wala daw forever - for a lifetime lang. But for us, we can achieve a long-lasting sweetness and an always fresh relationship by putting God in the center of it all. Marrying your bestfriend seems to be one of the best decision you can ever make. We've been lovers for almost 10 years before we got married. At first, what am I thinking is that, "ok i like him, ill try him to be my bf. If it works, great. If it doesnt work, and so be it." And obviously, it works... deeply. For the 18 years of togetherness (10 years as bf-gf, 8 years as husband-wife) (and he being away as an ofw most of those times) he will always be my favorite kachikahan about almost everything under the sun. We may have different views on some things and argue about it but at the end, we never regrets being each other's bestest bestfriend. And i will be forever grateful for that. indeed a long and lasting relationship takes a commitment from both couple.congratulations for keeping things strong and God bless! I can imagine how sparks fly when you two started the ligawan moments. Stay strong #teamroyals. Hahaha. Super love reading your blog posts! Feeling ko you're a mother/tita to me. I love the "chismosang kapitbahay" bit because bf and I are the same. Sometimes he initiates by saying, "May chika ako sayo.."
Same kami ng boyfie ko, Ms D!! ❤ Chismisan to the max. He's my bestfriend din at the same time kasi. Hehe. 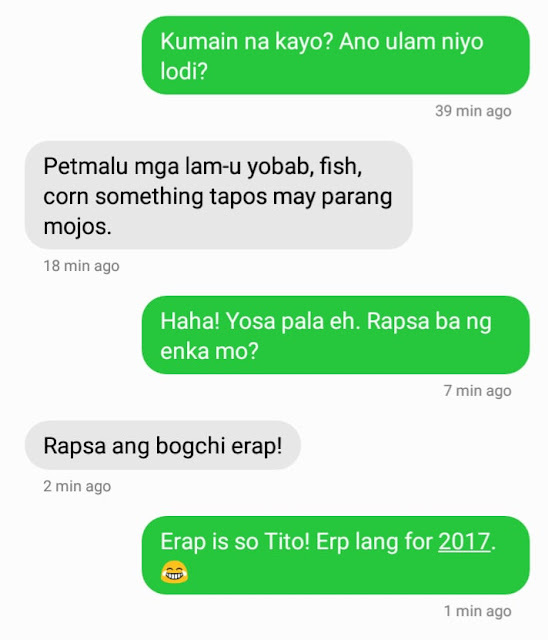 Nakakakilig! I love reading about love stories lalo na pag couple na may family na. Its a testament na may forever talaga sa mundong puro instant. More power to your Ms.D!